The acting profession is, at the best of times, an extremely challenging one, faced with a constant search for the next job, rejection, irregular finance and pressures of family, society and self doubt. The rewards, however, can be great for those who wish a life full of new experiences and challenges. 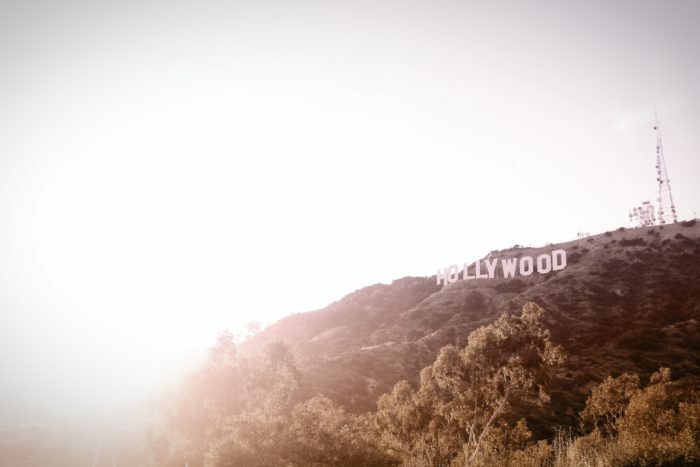 So it is no surprise that many actors look overseas for those new challenges, and for those already outside the US Hollywood continues to draw like a moth to a flame. For Japanese actors the biggest hurdle to working beyond these islands is language. Acting is, essentially, about communication and, since the end of the silent era, language is a major part of that; and that isn’t just the communication with the audience through the screen, but with the director as well. With over 10% of Los Angeles being Asian-American you are already walking into a market where there are many English-speaking local actors going for the Asian roles you might be considered for. In those circumstances gaining proficiency in English, as well as going there with a reasonable showreel of material is vital. In my own home town, London, the situation is different. The UK has a very small East Asian population, primarily Chinese. The last time I looked ‘Spotlight’, the actors directory, it had about a dozen native Japanese speakers listed. Because of this, if there is a Japanese role you have a good chance of getting it, the negative is that those roles are few and far between. Stereotypes still stand. Women will be exotic and mysterious, men will be martial artists. 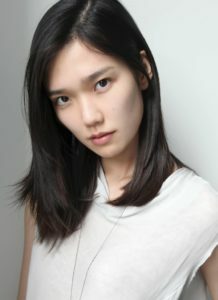 A young Japanese actor I know moved to London last year. His first role? A samurai. The situation is better in Hollywood, where the higher Asian population means that they will be considered for lawyers, doctors etc, however one thing remains the case in both countries, you will be expected to play all Asian nationalities. A Chinese friend of mine in London has played Korean, Japanese and even a Thai bride. Famously Korean-American James Kyson Lee played Japanese in ‘Heroes’ and Zhang Ziyi took the lead in ‘Memoirs of a Geisha’. So, before you start looking into visas, my best advice is continue to improve your conversational English, do some acting classes in English to work on English language scripts, try to meet and work with foreign directors working in Japan to get used to different working practices; have a decent showreel of material to take with you to show your range, and become one of the handful of Japanese actors to clear those hurdles and make it on the global stage. There are few people today who remember that Hollywood’s first great romantic leading man was Japanese, many years before Valentino. Hayakawa was born in Chiba and, after being expelled from the naval academy, he studied in Chicago. While waiting in Los Angeles for his boat back to Japan he thought he’d try a bit of acting! By the next year, 1915, he was one of the highest paid actors in Hollywood. Sadly his popularity amongst women at a time of racial segregation caused resentment and by 1922 he left the States to work in Japan and Europe. His first talkies were in Germany and France, where he eventually remained during the Second World War, joining the French resistance. Returning to Hollywood in 1949 he eventually gained an Oscar nomination for his role in ‘The Bridge on the River Kwai’ before retiring. 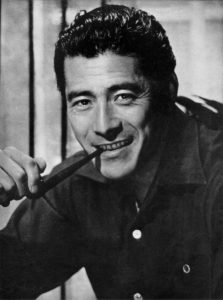 Until recent years Mifune was the best known (often the only known) Japanese actor outside Japan, but his work overseas was limited and rarely showed him at his best. In his first foreign film “grand Prix’ his voice was dubbed by Paul Frees, and in John Boorman’s ‘Hell in the Pacific’ there is little dialogue and Mifune’s is all in Japanese. This was probably his best role outside Japan and his talent was never truly tapped. Born in Hokkaido, Umeki began as a singer, much like many of todays Japanese tarento! At the age of 26 she moved to the States, recorded two albums and appeared on variety shows before being discovered by Joshua Logan to appear in ‘Sayonara’ with Marlon Brando. 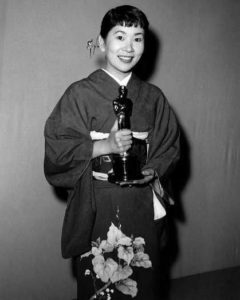 Her first film in the US (she had appeared as a singer in one Japanese film) brought her the Best Supporting Actress Oscar. She remains the only Japanese to win an acting Oscar. She only appeared in four more films, her career focusing on stage musicals and TV, before retiring in 1972 at the age of 43. Watanabe already had several acting award nominations and twenty five years of theatre, TV and film work under his belt, not to mention surviving two bouts of leukaemia, before he broke through to the international market with ‘The Last Samurai’. 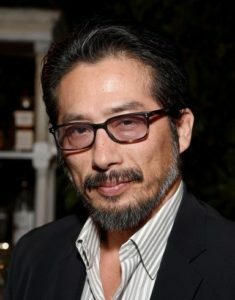 Since then ‘Memoirs of a Geisha’, ‘Batman Begins’ and ‘Letters from Iwo Jima’ have cemented him as the ‘go to’ actor for leading Asian roles in foreign films, including the US reboot of ‘Godzilla’. 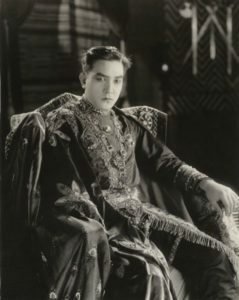 At the time of writing he is staring on London’s West End stage in ‘The King & I’. Sanada took the action star route into acting, beginning as a protege ofSonny Chiba, and his connections with action stars Michelle Yeoh and Jackie Chan lead to his early appearances in foreign films. However, Sanada has much more to his background than martial arts. 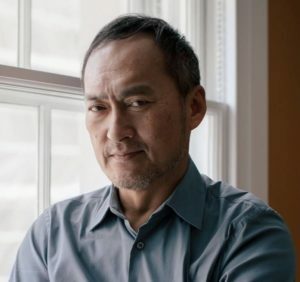 Six years before his first western film, Danny Boyle’s ‘Sunshine’ he had played the Fool in the RSC’s production of Shakespeare’s King Lear, a performance that earned him an MBE for his “contribution to spreading British culture in Japan”. Now a regular in American films and TV, Sanada will be making an appearance in 2019s conclusion to ‘The Avengers’. Kikuchi won at least nine awards and around thirty nominations for her deaf-mute role in ‘Babel’, including an Oscar nomination for Best Supporting Actress (the first for a Japanese actress since Umeki). This wasn’t the first time a non-speaking role had won the Oscar. When John Mills won for his deaf-mute role in ‘Ryan’s Daughter’ he said if he’d known he’d have won for that he wouldn’t have bothered learning all those lines for other films. However, before ‘Babel’ Kikuchi had racked up nearly twenty film roles in Japan, including ‘The Taste of Tea’ and ‘Survive Style 5+’, alongside many TV series, all by the age of 25. Since then she has continued to work in Japan, alongside foray’s into foreign films like ‘Pacific Rim’ and ‘Kumiko, the Treasure Hunter’. She has recently joined the cast of TVs ‘Westworld’ alongside Hiroyuki Sanada. 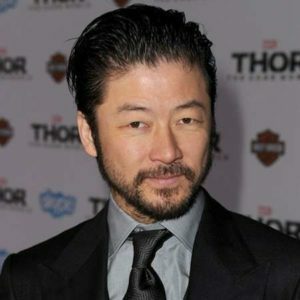 Best known in the for cult films like Miike’s ‘Ichi the Killer’ and Oshima’s ‘Gohatto’, Asano took time before appearing in his first Hollywood movies, the ‘Thor’ trilogy as Hogun. On the way he appeared for Thai director Pen-Ek Ratanaruang in ‘Invisible Waves’ and Russian Sergei Bodrov’s ‘Mongol’. Although he has concentrated on Japanese films he also appeared in ‘Battleship’ and will next feature in Roland Emmerich’s ‘Midway’. It seems he will take the American blockbusters while being able to give his significant acting skills release in smaller Japanese films. ‘The Wolverine’ was the first feature film outing for both these models-turned-actresses,and both have gone on to significant work on both sides of the Atlantic. 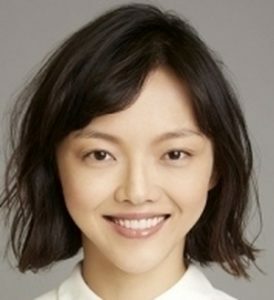 Okamoto has appeared in the TV show ‘Hannibal’ and ‘Batman vs Superman’, as well as being another actor to join Sanada and Kikuchi in ‘Westworld’, while Fukushima has leant her talents to TV shows ‘Arrow’ and ‘Game of Thrones’, as well as ‘Ghost in the Shell’. ‘The Wolverine’ shot in Japan and, needing English-speaking talent, proved to be a launching pad for many actors who were not established in the Japanese-speaking industry yet. 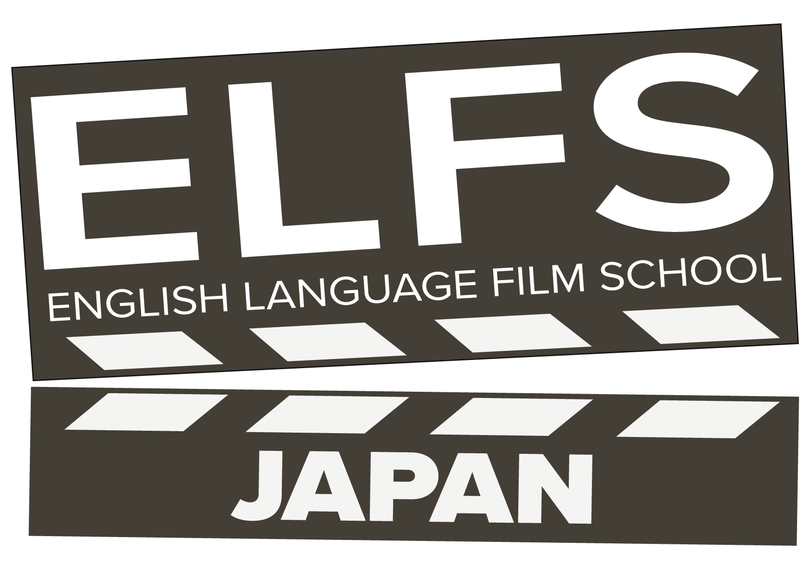 With the Olympics potentially opening up Japan to an influx of foreign film crews and productions this may be the best time to brush up those English skills.